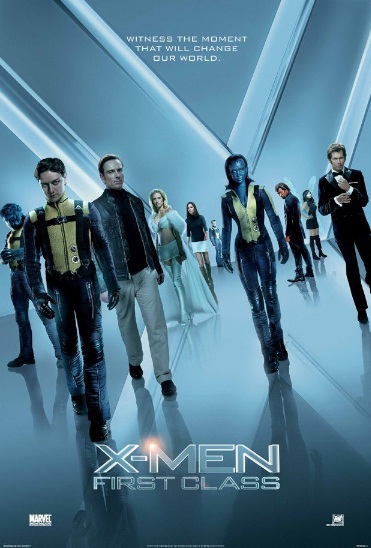 This weekend saw the release of X-Men First Class at the cinema; a prequel to the popular X-Men series that tells the story of the origins of the school for mutant (or gifted) teenagers run by Professor Xavier, and also the story of how Charles Xavier and Erik ‘Magneto’ Lensherr first met. This may seem a slightly unusual item to blog about for Other Oxford, but part of the movie was filmed in Oxford as Charles Xavier studied here and wrote his thesis on mutations; work that got him noticed by the CIA when they encountered mutants. The parts of Oxford featured in the movie are very iconic, from an aerial shot of the dreaming spires to scenes filmed outside Hertford College and around the Sheldonian Theatre. In fact one side of Hertford had been turned into a pub with the Bridge of Sighs in the background. The pub seems to be a favourite place of Charles Xavier’s, as you would expect from any good Oxford student, and if you are going to be the world’s leading expert on mutations, then obviously you are going to choose one of the world’s leading universities to study at (not that I wish to suggest Oxford is full of mutants – just very gifted teenagers of course!) The film was thoroughly enjoyable to watch and there are some nice little surprises and series related jokes for fans, though you would not need to have seen any of the other movies to be able to enjoy this one as it can stand quite happily on its own (the nature of a good prequel). I would give X-Men First Class 4 out of 5 stars, and the lovely snippet of Oxford only goes to improve the cinematic experience.